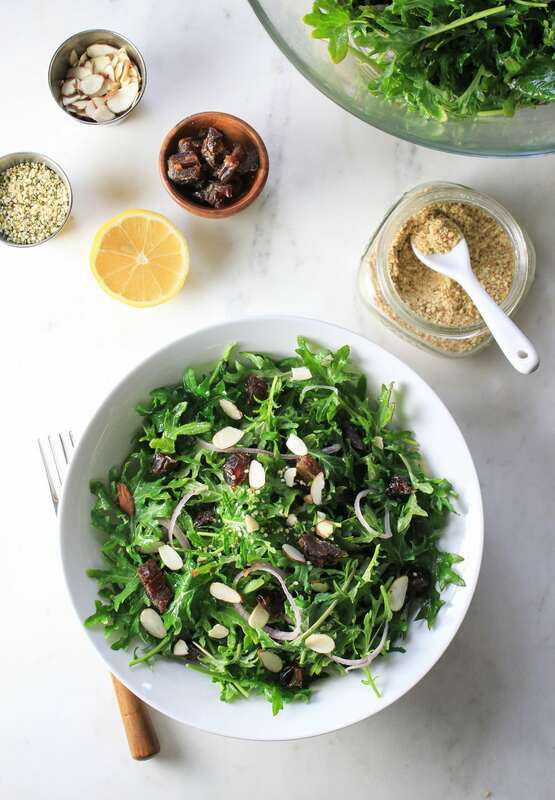 This Kale, Date & Almond Salad features earthy kale, zesty lemon, mildly flavored shallots, sweet dates, heart healthy almonds & hemp hearts, and a sprinkle of almond parmesan. It’s a delicious combination of savory and sweet! Kale, kale and more kale! I hope you all love it as much as me because I have another kale recipe for the collection. 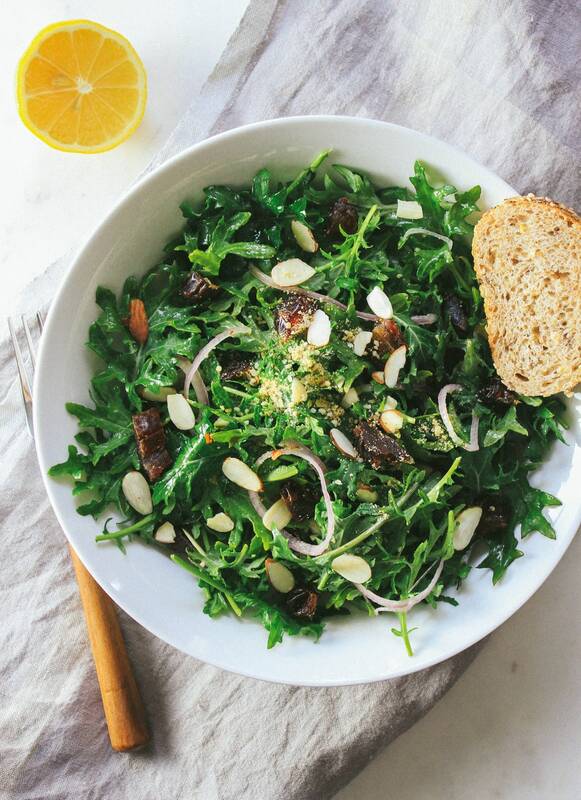 And if you don’t love it maybe this simple and easy salad will make you a kale lover! On a recent trip to Trader Joe’s there was a packaged Kale & Hemp Seed Salad with Dates that caught my eye. 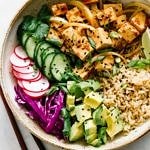 After doing a quick google search I came across a similar salad from Epicurious that had great reviews. I love finding gems like this with such positive feedback (even non-kale lovers loved it). I’ve brought the two inspirations together creating a simple, classic kale salad for us to enjoy time and time again. Whether serving for a crowd or simply for yourself, you’ll love the ease of this salad. 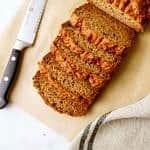 Pair it with a slice of whole grain bread, better yet, a slice of fruit, nut & seed bread and you have yourself a nice light, healthy lunch or dinner. It was a perfect fresh salad for this chilly day! 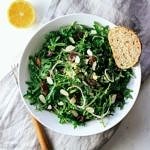 Full grown raw kale can be a bit tough, the lemon dressing will help to soften it. The kale you find in bunches will benefit the most from a little marinating. It can really make a big difference for those who have a hard time eating raw kale. I would suggest for the most tenderizing effect to leave the kale in the lemon mixture for an hour or so, even overnight, covered, in the fridge. If using baby kale (like I’ve used here) there isn’t a need to let it set very long, if at all, since it’s already baby tender. Use your favorite dates. I’ve used 8 medjool dates here. Use as many as you like. I like to get at least one piece of date in every bite. Just remember to only add the dates when ready to serve or they’ll get soggy and mushy. Dried figs would also work well here. Simple, fabulous, light and refreshing! This salad is perfect for a light lunch or dinner. I hope you enjoy this kale, date and almond salad as much as I have. 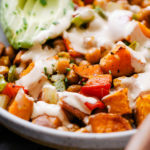 If you try this easy salad recipe, please let me know! Leave a comment and rate it below. I love to hear what you think, or any changes you make. 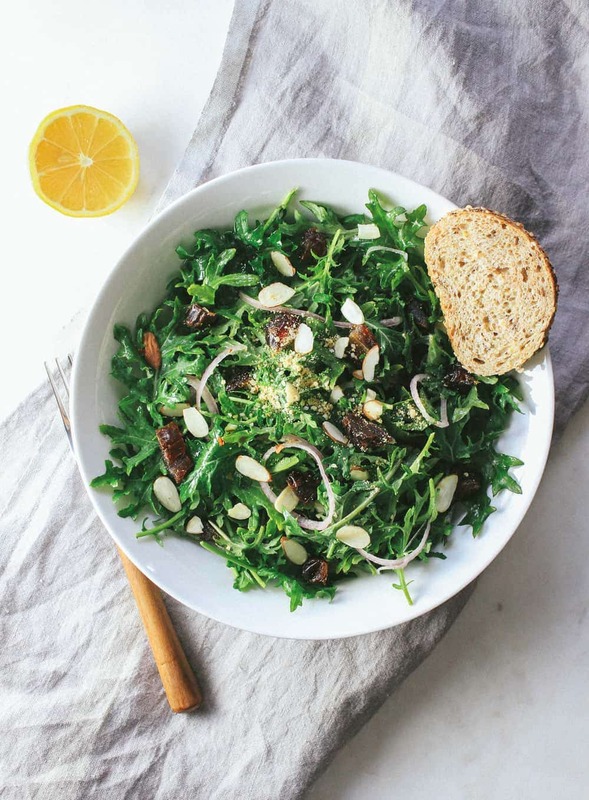 Savory and sweet, this salad is an easy way to love your kale. 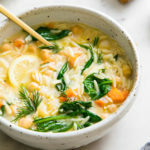 Makes for a light lunch or dinner and pairs great with a slice of whole grain bread. 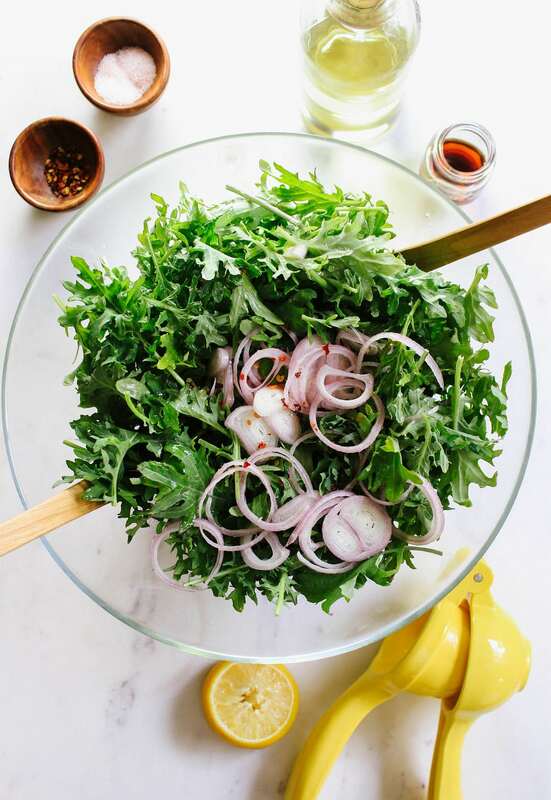 In a large bowl, combine the lemon juice, maple syrup, salt and red pepper flakes, add the kale and shallots, mix well. If using large leaf kale, let set for at least 20 minutes (or overnight in the fridge) making sure to toss a few times. If using baby kale, serve right away as baby kale is tender ready. Before serving add a drizzle of the optional olive oil, toss well. Add in the dates, almonds, hemp hearts and light dusting of almond parmesan. Try toasting the almonds on the stove if you like. To do this, place almonds in a pan over medium heat (no oil needed), stir frequently until almonds change color slightly, about 1 – 2 minutes. Do not add dates until serving time. If you add them before they may become soggy. 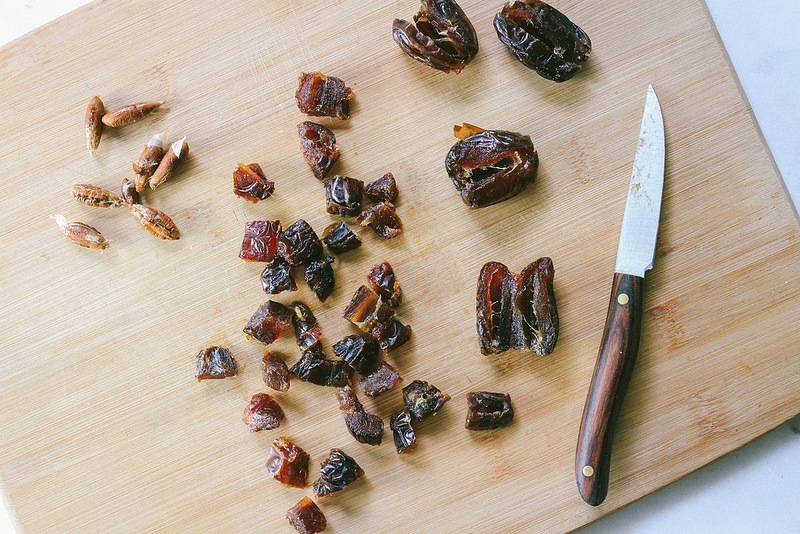 Try using dried figs in place of dates. 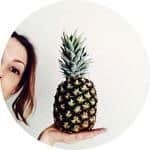 For the most tender kale (if using large leaf), let marinate in the lemon juice mixture, covered, in the refrigerator overnight, tossing once or twice.